The Empire ® Adhesive Sport Tape 13m x 2.5cm 12 Pack is the competitive alternative to the traditional zinc oxide tape on the market. This new formula is made from a cotton blend fabric that incorporates an easy release controlled unwind and an easy-tear serrated edge to ensure perfect wrapping. 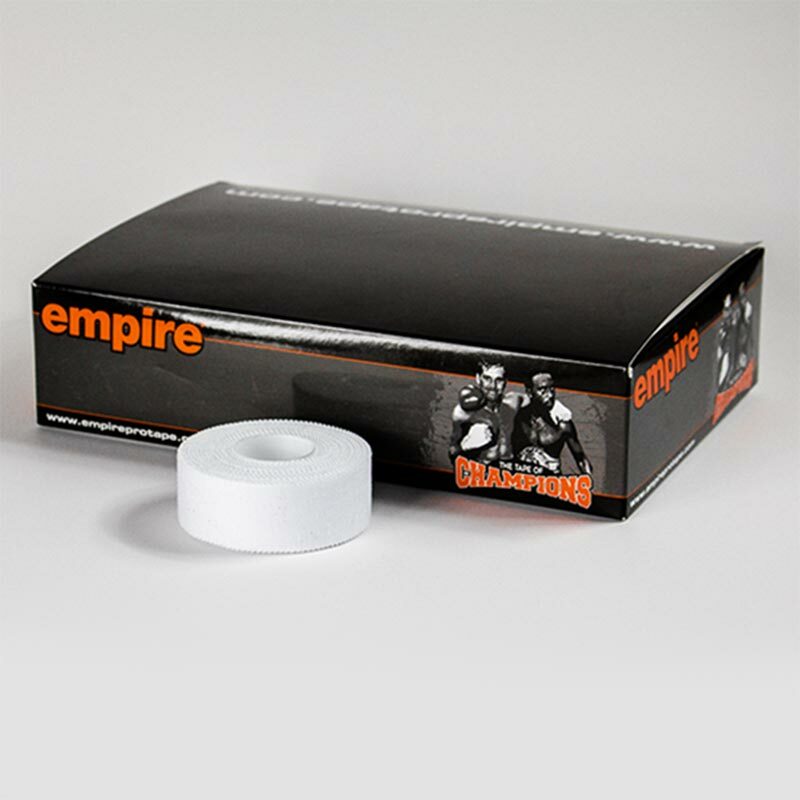 Designed for all types of sports from boxing, rugby to netball, if you need taping up make sure you try the new Empire tape formula, we promise you won't be going back to the old zinc oxide tapes once you've tried this one. The 2.5cm tape is a whopping 13 metre in length that is nearly 3 times more than other brands. 2.5cm (25mm) width x 13 metre length.